Today, as liberty and truth are increasingly challenged, the figures of Churchill and Orwell loom large. Exemplars of Britishness, they preserved individual freedom and democracy for the world through their far-sighted vision and inspired action, and cast a long shadow across our culture and politics. 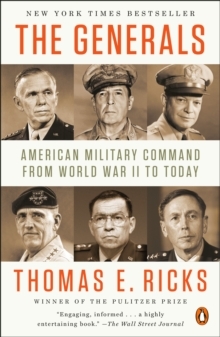 In Churchill & Orwell, the Pulitzer Prize-winning author Thomas E.
Ricks masterfully argues that these extraordinary men are as important today as they ever were. 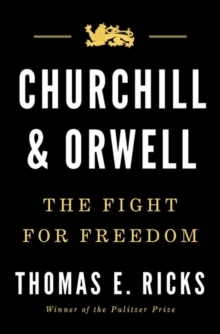 Churchill and Orwell stood in political opposition to each other, but were both committed to the preservation of freedom. However, in the late 1930s they occupied a lonely position: democracy was much discredited, and authoritarian rulers, fascist and communist, were everywhere in the ascent. Unlike others, they had the wisdom to see that the most salient issue was human liberty - and that any government that denies its people basic rights is a totalitarian menace to be resisted. 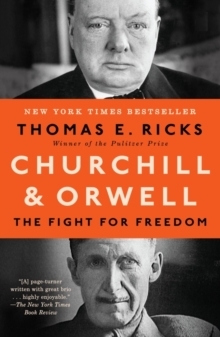 Churchill and Orwell proved their age's necessary men, and this book reveals how they rose from a precarious position to triumph over the enemies of freedom. Churchill may have played the larger role in Hitler's defeat, but Orwell's reckoning with the threat of authoritarian rule in 1984 and Animal Farm defined the stakes of the Cold War and continues to inspire to this day. 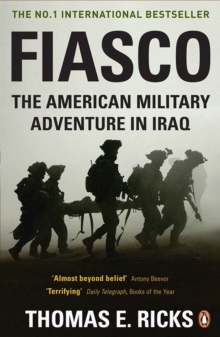 Their lives are an eloquent testament to the power of moral conviction, and to the courage it takes to stay true to it.